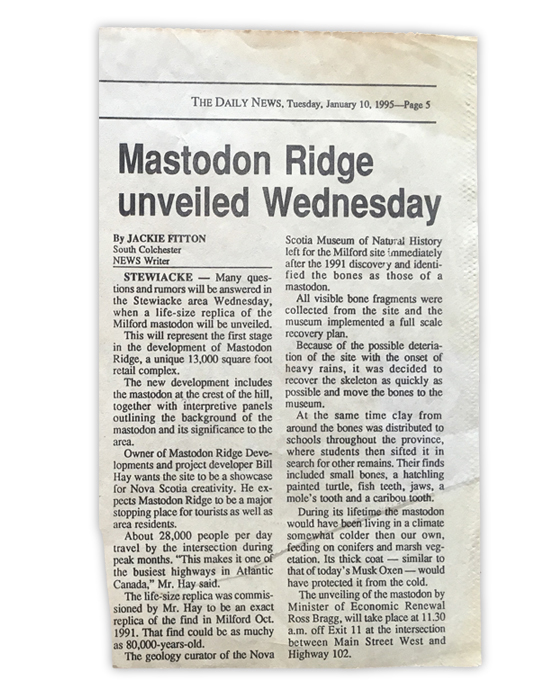 Mastodon Ridge started to come to life in January 1995 with the unveiling of a life size mastodon replica. Bill Hay, entrepreneur and owner of Mastodon Ridge Developments commissioned the replica in 1994. He came up with the idea after mastodon bones were discovered in a quarry in nearby Milford, in 1991. Bill started his long and successful career in business in 1970 as Manager of the family operated drive-in restaurant in Shubenacadie Nova Scotia known as “House of Hay” Kentucky Fried Chicken. 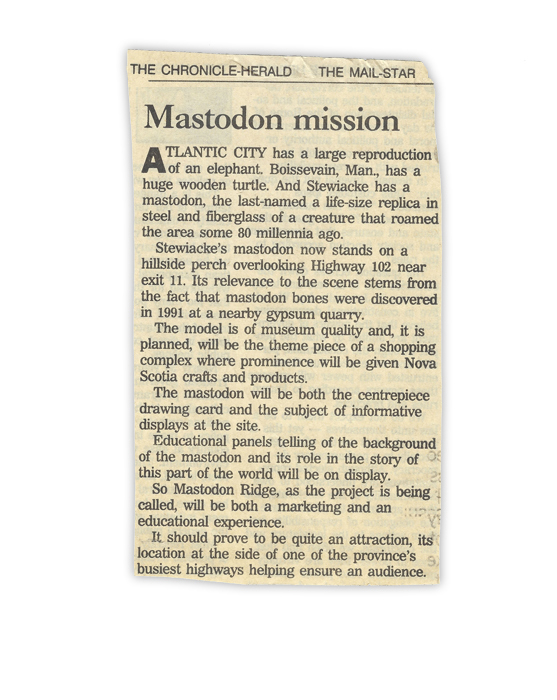 In 1979, a new KFC was built in nearby Stewiacke on the site now known as Mastodon Ridge. Bill’s son Don Hay has operated the KFC since 2005. Bill has participated on the board of the Nova Scotia Tourism Partnership and Tourism Industry of Nova Scotia, he has also been chairman of the Central Nova Tourism Association and the Bay of Fundy Tourism Partnership. 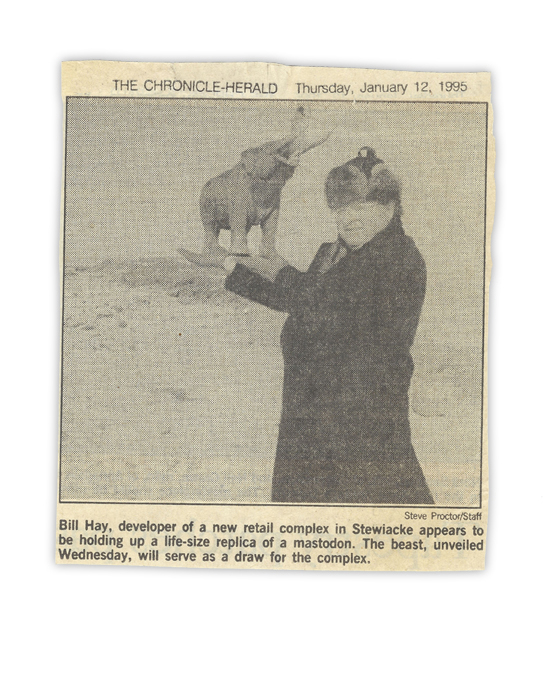 Bill continues to have a passion for promoting Nova Scotia, the town of Stewiacke and of course Mastodon Ridge. 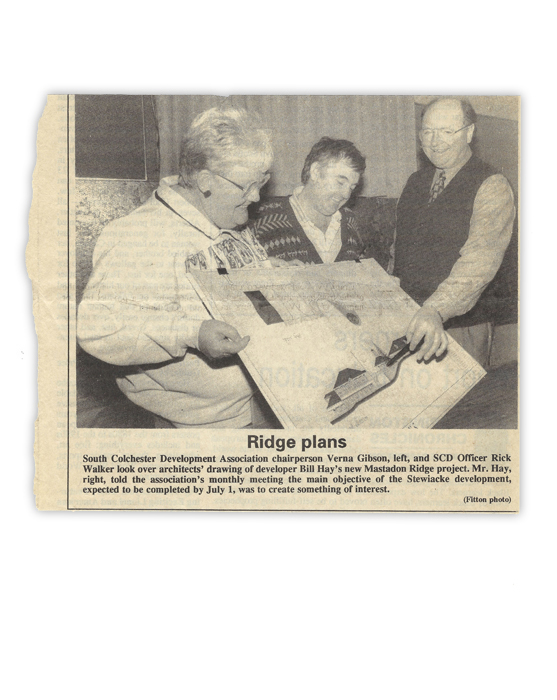 Enhancements and investments continue to take place at the Ridge, and Bill and his family continue to operate it with great pride. We invite you to review our website to learn more. We hope to see you soon!